With a new track, “Everything,” released today (July 25), TobyMac and his DiverseCity Band have announced a 12-city run in November. Having headlined 18 arenas earlier this year, the rare, intimate TobyMac & DiverseCity Band: The Theatre Tour with special guest Ryan Stevenson is set to traverse the east coast and Midwest including stops in Texas, Virginia, Ohio, Pennsylvania, Louisiana and more. Food for the Hungry is sponsoring the 12-city run, helping to provide life-changing resources such as clean water, medical aid, food, equal educational opportunities to girls and boys, vocational training and empowerment. The 7X Grammy winner’s tune was penned by TobyMac and will go for radio adds on Aug. 10. 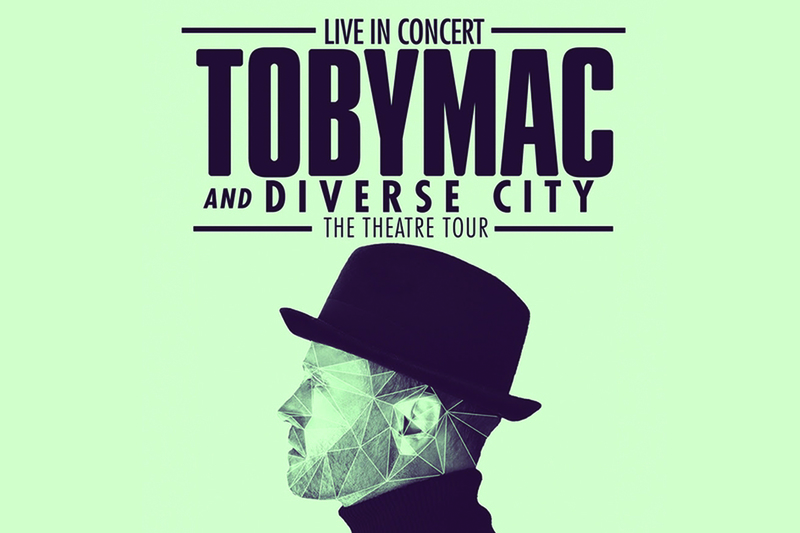 Tickets for TobyMac & DiverseCity Band: The Theatre Tour will go on sale Fri. Jul. 27. For more information, visit www.TobyMac.com.